September 23, 2014 – (, San Diego, CA , USA) – Account Manager (DoD/USMC Accounts) HARRIS CORPORATION Click here for full details. September 23, 2014 – ( , Ft Greely, AK 99731 , US) – Quality Control Manager – Fort Greely, Alaska (1898-205) Click here for full details. September 23, 2014 – (Dahlgren, VA 22448 US, Dahlgren, VA 22448 , US) – System Administrator (Computer Analyst) – Windows (1896-205) Click here for full details. September 23, 2014 – (, Long Beach, California , US) – Manager, Design and Construction Services Click here for full details. September 23, 2014 – (, Vancouver, WA , US) – Ink Category Operations Lead Click here for full details. September 22, 2014 – (The University of Texas at El Paso, El Paso, TX 79968, USA) – Project Manager of Planning and Construction – 10019383 Click here for full details. September 22, 2014 – (The University of Texas at El Paso, El Paso, TX 79968, USA) – Director (Office of International Programs) – 10019962 Click here for full details. September 22, 2014 – (University of Texas at El Paso , El Paso, Texas 79902, United States) – Clinical Assistant Professor Click here for full details. September 22, 2014 – (The University of Texas at El Paso, El Paso, TX 79968, USA) – HR Representative II (Employee Relations) – 10019064 Click here for full details. September 22, 2014 – (, Oak Brook, IL 60521, United States) – Associate Director, Communications & PR Click here for full details. September 22, 2014 – (MCB Quantico, Quantico, VA , ) – SQL Database Administrator/ Developer Click here for full details. September 22, 2014 – (, Oak Brook, IL 60521, United States of America) – Logistics Systems Manager Click here for full details. September 22, 2014 – (San Diego, CA, San Diego, CA 92110, USA) – SharePoint Administrator Click here for full details. September 22, 2014 – () – MEF Field Servive Representative – TCS – Okinawa, Japan (2804) Click here for full details. September 22, 2014 – (Albany, GA, Albany, GA 31705, ) – MEF Field Servive Representative – TCS – Albany, GA (2803) Click here for full details. September 22, 2014 – () – Recycling careers with Sims Metal Management Click here for full details. September 22, 2014 – () – International healthcare careers Click here for full details. September 22, 2014 – (, Massena, NY 13622, USA) – Registered Nurse Clinic Manager (Massena, NY) Click here for full details. September 22, 2014 – (, Massena, NY 13662, USA) – Registered Nurse (Massena, NY) Click here for full details. September 22, 2014 – (, Denver, CO , ) – Delivery Driver Click here for full details. September 22, 2014 – (, Newark, NJ , USA) – Seeking NF Clerk for Newark, NJ Click here for full details. September 22, 2014 – (San Diego, CA, San Diego, CA 92110, USA) – Knowledge Management Advisor Click here for full details. September 22, 2014 – () – CDL Drivers for all US Locations and Mexico – Zero Tuition for vets!! Click here for full details. September 22, 2014 – (, Shepherdsville, Kentucky 40165, USA) – Safety & Security Manager Click here for full details. September 22, 2014 – (, Littleton, Colorado 80127, USA) – Electrical Engineer Click here for full details. September 22, 2014 – (, Littleton, Colorado 80127, USA) – Software Engineer Click here for full details. September 22, 2014 – (, Littleton, Colorado 80127, USA) – Mechanical Engineer – Robotics Click here for full details. September 22, 2014 – (, Walton, Kentucky 41094, USA) – Safety & Security OfficerClick here for full details. September 22, 2014 – (, Littleton, Colorado 80127, USA) – Systems Engineer/ Project Manager Click here for full details. September 22, 2014 – (Company Headquarters, Charlottesville, VA 22902, USA) – Remote Operations Control Center Operator Click here for full details. September 22, 2014 – (Department of Commerce, Washington, DC , United States) – CPIC Technical Lead Click here for full details. September 22, 2014 – (Department of Commerce, Washington, DC , United States) – Junior Analyst Click here for full details. September 22, 2014 – (, Fairfax, Virginia , USA) – Analyst – Active Clearance Click here for full details. September 22, 2014 – (, Fairfax, Virginia , USA) – Engineer – Active Clearance Click here for full details. September 20, 2014 – (, Boston, MA US, ) – Product Manager Click here for full details. September 20, 2014 – (, Sunnyvale, CA , ) – Web Applications Engineer – Pronq by HP Software Click here for full details. September 20, 2014 – (, Boston, MA , US) – Product Manager Click here for full details. September 19, 2014 – (, Seattle, Washington , US) – Marketing Coordinator Click here for full details. September 19, 2014 – (University of Texas at El Paso , El Paso, Texas 79902, United States) – Associate Professor (Quantitative Methodologist) Click here for full details. September 19, 2014 – (University of Texas at El Paso , El Paso, Texas 79902, United States) – Associate Professor (Language Acquisition) Click here for full details. September 19, 2014 – (University of Texas at El Paso , El Paso, Texas 79902, United States) – Assistant/Associate Professor(s) of Finance Click here for full details. September 19, 2014 – (University of Texas at El Paso , El Paso, Texas 79902, United States) – Assistant Professor of Economics Click here for full details. September 19, 2014 – (The University of Texas at El Paso, El Paso, TX 79968, USA) – Electrician I – 10019441 Click here for full details. September 19, 2014 – (University of Texas at El Paso , El Paso, Texas 79902, United States) – Assistant Professor (Public Law) Click here for full details. September 19, 2014 – (University of Texas at El Paso , El Paso, Texas 79902, United States) – Assistant Professor and Associate Professor or Professor Click here for full details. September 19, 2014 – (University of Texas at El Paso , El Paso, Texas 79902, United States) – Assistant Professor-Medicinal Chemistry Click here for full details. September 19, 2014 – (University of Texas at El Paso , El Paso, Texas 79902, United States) – Assistant Professor Click here for full details. September 19, 2014 – (East Hartford area, East Hartford, CT 06108, United States) – Electrician Click here for full details. September 19, 2014 – (Pentagon, Arlington, VA , ) – Document Editor, Headquarters Marine Corps (HQMC), Deputy Commandant, Programs and Resources (DC P&R)Click here for full details. September 19, 2014 – (Stafford, VA, Stafford, VA 22554, USA) – Financial Analyst III – TCS – Stafford, VA (2780) Click here for full details. September 19, 2014 – (, Westfield, MA 01085, US) – Route Sales Representative Click here for full details. September 19, 2014 – (, Phoenix, Arizona , US) – Critical Facility Engineer (HVAC and Data Center Controls) Click here for full details.  September 19, 2014 – (, Dahlgren, VA 22448, ) – Administrative Assistant – Current Secret Clearance Required (1894-205) Click here for full details. September 19, 2014 – (, Dahlgren, VA 22448, ) – Secretary II – Secret Clearance Required (1893-205) Click here for full details. September 19, 2014 – (Pentagon and in/around the National Capitol Region (NCR), Arlington, VA , United States) – Opportunity, Portfolio Management Analyst, Pentagon and in/around the National Capitol Region (NCR) Click here for full details. September 19, 2014 – (, Salt Lake City, Utah , US) – Critical Facility Engineer (HVAC and Data Center Controls) Click here for full details. September 20, 2014 – () – Significance Of Car Crash Lawyers Click here for full details. September 19, 2014 – () – Vigrx Plus Amazon – Remain In Shape When You Eat Great Nutrition Click here for full details. September 18, 2014 – (, Waco, TX , United States) – Customer Service Representative – Inbound Calls Click here for full details. September 18, 2014 – (, Tampa, FL , United States) – Customer Service Representative – Inbound Calls Click here for full details. September 18, 2014 – (, Sandy, Utah , United States) – Customer Service Representative – Inbound Calls Click here for full details. September 18, 2014 – (, Lynn Haven, FL , United States) – Customer Service Representative – Inbound Calls Click here for full details. September 18, 2014 – (, London, KY , United States) – Customer Service Representative – Inbound Calls Click here for full details. September 18, 2014 – (, Layton, Utah , United States) – Customer Service Representative – Inbound Calls Click here for full details. September 18, 2014 – (, Lawrence, KS , United States) – Customer Service Representative – Inbound Calls Click here for full details. September 18, 2014 – (, Hattiesburg, MS , United States) – Customer Service Representative – Inbound Calls Click here for full details. September 18, 2014 – (, Chester, VA , United States) – Customer Service Representative – Inbound Calls Click here for full details. September 18, 2014 – (, Brownsville, TX , United States) – Customer Service Representative – Inbound Calls Click here for full details. September 18, 2014 – (, Boise, ID , United States) – Customer Service Representative – Inbound Calls Click here for full details. September 18, 2014 – (, Bogalusa, LA , United States) – Customer Service Representative – Inbound Calls Click here for full details. September 18, 2014 – (The University of Texas at El Paso, El Paso, TX 79968, USA) – Post Doctoral Click here for full details. September 18, 2014 – (, Virtual, Anywhere in the U.S. (Home-based), Nationwide , United States) – Document Specialist Click here for full details. September 18, 2014 – (, Virtual, Anywhere in the U.S. (Home-based), Nationwide , United States) – Captioning/Transcription Specialist Click here for full details. September 18, 2014 – (The University of Texas at El Paso, El Paso, TX 79968, USA) – Groundskeeper I – 10065816 Click here for full details. September 18, 2014 – (, Staten Island, New York , United States) – Bilingual Customer Care Representative Click here for full details. September 18, 2014 – (The University of Texas at El Paso, El Paso, TX 79968, USA) – Administrative Services Coordinator – 10018982 Click here for full details. September 18, 2014 – (, Queens, New York , United States) – Bilingual Customer Care Representative Click here for full details. September 18, 2014 – (, Manhattan, New York , United States) – Bilingual Customer Care Representative Click here for full details. September 18, 2014 – (, Brooklyn, New York , United States) – Bilingual Customer Care Representative Click here for full details. September 18, 2014 – (, Bronx, New York , United States) – Bilingual Customer Care Representative Click here for full details. September 18, 2014 – (The University of Texas at El Paso, El Paso, TX 79968, USA) – Electrician III – 10024004 Click here for full details. September 18, 2014 – (The University of Texas at El Paso, El Paso, TX 79968, USA) – Senior Systems Programmer – 10023128 Click here for full details. September 18, 2014 – (, San Diego, California , US) – Fleet and JTT Support Team (PAC) Click here for full details. September 19, 2014 – (, Pearl Harbor, Hawaii 96860, US) – Fleet and JTT Support Team (PAC) Click here for full details. September 19, 2014 – (, Norfolk, Virginia 23501, US) – Fleet and JTT Support Team (LANT) Click here for full details. September 18, 2014 – (North Carolina Central University, Durham, NC 27707, US) – Housekeeping (Building Environmental Services Techn.) – 100933 Click here for full details. September 18, 2014 – (East Bay, South Bay, and Sacramento area, East Bay, South Bay, and Sacramento area, CA , USA) – Entry Level HVAC Positions Click here for full details. September 18, 2014 – (SF Bay Area, SF Bay Area, CA , USA) – Field Service Technician Click here for full details. September 18, 2014 – (SF Bay Area, SF Bay Area, CA , USA) – Field Calibration Technician Click here for full details. September 19, 2014 – (, Norfolk, Virginia 23501, US) – Fleet Synthetic Training TeamClick here for full details. September 18, 2014 – (, Fallon, Nevada , US) – Aviation Range Support Team Click here for full details. September 18, 2014 – (Quantico MCB, Stafford, VA 22554, USA) – Senior Functional Analyst – C-IED Click here for full details. September 18, 2014 – (, Norfolk, Virginia , US) – QFF (Quantitative Fleet Feedback) Program Support Lead Click here for full details. September 19, 2014 – (, Pensacola, Florida , US) – Information Dominance Training Lead Click here for full details. September 18, 2014 – (, Palo Alto, CA , US) – Program Manager Global Offer Click here for full details. September 18, 2014 – (, Palo Alto, CA , US) – Software Engineer-Solution ArchitectClick here for full details. September 18, 2014 – (, Sunnyvale, CA , US) – Web Applications Engineer – Pronq by HP Software Click here for full details. September 18, 2014 – (, Pearl Harbor, Hawaii 96860, US) – Fleet and JJT Support Lead (PAC) Click here for full details. September 18, 2014 – (, Pensacola, Florida , US) – Information Dominance Training Team Click here for full details. September 17, 2014 – (NSWC Corona, Norco, CA 92860, USA) – Programmer Click here for full details.